About Jerrabomberra | Jerrabomberra Residents' Association Inc. The name Jerrabomberra is derived from the local Aboriginal place name meaning ‘boy frightened by storm’. 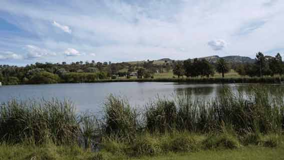 In 1987, Jerrabomberra Estate Limited, with Alex Brinkmeyer, Col Alexander and Perth Millionaire Kerry Stokes as major shareholders, began developing John Palmer’s original (cir 1820's) farm land for housing. While Brinkmeyer's relationship with the Queanbeyan City Council started badly, Queanbeyan Council later viewed Brinkmeyer as promoting and improving Queanbeyan. The first serviced blocks in stage one of the residential release at Jerrabomberra Park were released in February 1988, ranging in price from $28,000 to $39,000. Jerrabomberra was established with the construction of the first homes in 1988 to 8,747 (2006 Census). Jerrabomberra has a main shopping centre which contains a supermarket (Woolworths), medical centre, bakery, butchery, hairdresser, chemist, green grocer, newsagent, real estate agency, video outlet, a restaurant and take-away and an established gym. On the same block of land as this shopping centre are the Jerrabomberra Tavern, a Woolworths Service Station, a car wash and a drive-through take-away food outlet. Located within 'The Park' is a smaller set of shops, which contains a general store, take-away and bottle shop, hairdresser, the Post Office, medical centre, and other small businesses. Jerrabomberra has a privately operated child care facility as well as a highly regarded Primary School. The Heights is mainly situated on the base of Mount Jerrabomberra. This mountain divides most of Jerrabomberra from Queanbeyan on the north east and North Terrace on the North West. The Park is situated on the plain to the south. 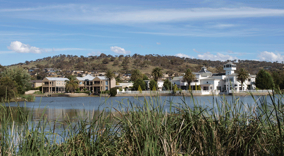 This urban area runs down to Jerrabomberra Lake, an artificial lake that drains into Jerrabomberra Creek and is dominated by Cove Island, est 1992, (an artificial island which consists of eight homes and a central common facility entailing a tennis court, swimming pool and sauna). Jerrabomberra's primary school opened in 2002, and now caters for around 800 students K-6, (almost one third are from Defence Force families). Achieving results above the state and national average across the curriculum with particular strengths in literacy, numeracy and music with a growing focus on IT, the school is highly regarded and continues to undergo a building expansion program with support from a very active P&C. Whilst there is no high school within Jerrabomberra, just yet, the zoned government high school is Karabar High, students may also select Queanbeyan High as another option for public schooling. However, a large majority of children of high school age go to public or private schools across the border, particularly St. Edmunds College - Boys, and Merici College - Girls. Jerrabomberra has one day care/ pre-school named ABC Learning Centre. 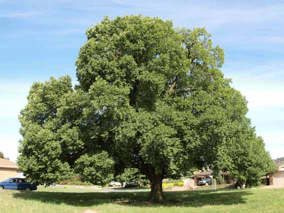 We are very fortunate to have lots of mature elm trees growing around Jerrabomberra. This was a result of the Moore family in the early 1900’s who owned the majority of the land that is now Jerrabomberra. The Moore family moved here in the late 1800’s and the trees were planted in the early 1900’s. The main homestead was located in what is now Homestead Rise. The remains of the fireplace have been preserved at the end of Homestead Gardens. The water retention pond at Brudenell Drive was the dam for the Homestead. The Moore family are still in the area and run the Jerrabomberra Homestead that is located at the end of Mariners Court on the other side of the Jerrabomberra Creek. The reason that they planted the trees were twofold. Firstly, they are planted along the creeks and in areas to minimize soil erosion, secondly as a source of food for the cattle in times of drought. The end result is that we have some fantastic trees around our suburb. The JRA applied to Council a number of years ago to have the two trees near Madew Oval added to Councils significant tree register as they are probably about 100+ years old, but I am unsure as to if they made it. One did get sick a few years ago and Council worked hard to save it. The old one in Walker Crescent also got sick but was saved too around the same time. The JRA produced a walking tracks map in 2005 and we marked most of the great trees on it. There is a stand at the back of Hudson Place going thru to Stringybark Hill Reserve that are not on the map. Edwin land Parkway opened in 2012 linking the eastern end of Jerrabomberra to Old Cooms Road. Providing a second route out of Jerrabomberra with easier access to Queanbeyan.